Kits include the knitting needles, pattern & 100g Chunky British Bluefaced Leicester Wool, available in Natural Fawn or Brown, or Natur-ally Dyed colours, depending on availablity. Colours may be dyed to order, so please contact me. The easy pattern is great for beginners, with options given for knitting 'flat' on 2 needles, or on double-pointed or circular needles. 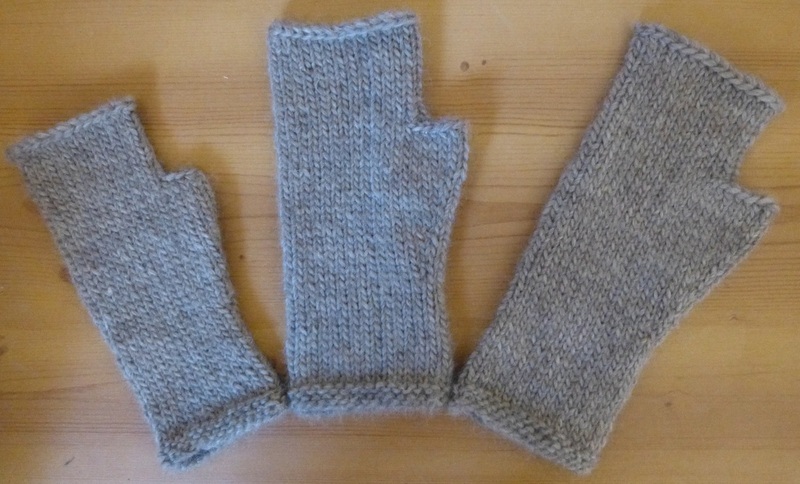 The pattern gives Small, Medium & Large sizes, and instructions for an optional button flap to keep your fingers cosy & warm. All my beginners notes are included along with the instructions to make the hat or fingerless gloves, both based on the granny square. Kits include the crochet hook, pattern & 100g Chunky British Bluefaced Leicester Wool, available in Natural Fawn or Brown, or Natur-ally Dyed colours, as above, depending on availablity.